There are distinctions between the cases. Saucier admitted as part of a plea bargain that he “knew from his training and his specialized work upon the submarine” that the photos contained classified information and he wasn’t authorized to take them. He also admitted that after being confronted by law enforcement in 2012 he destroyed a laptop, camera and memory card. Clinton has said she didn’t know any information on her server was classified, although Comey has said anyone in Clinton’s position “should have known that an unclassified system was no place” for some of the subjects being discussed. While Clinton had tens of thousands of emails erased from her system in 2014, she did so with the advice of lawyers and before the FBI investigation was underway. Regardless of whether people such as this sailor receive more lenient handling, I also wonder if Clinton will be as hard on such matters as the Obama administration has been if elected (which looks likely based upon current polls and Donald Trump’s continuing incoherence while campaigning). While her natural conservative inclination might be to be a hard liner, she might also be dissuaded by the inevitable comparisons to her case. In related news, two Republicans have laid out their arguments for the Justice Department to investigate Clinton for perjury in her testimony before Congress. This includes lying over whether she sent or received classified information on her private server, the claim that her lawyers had gone through each email individually before deleting them, her claim that all work related email was turned over to the State Department, and her claim that she used only one server while Secretary of State. 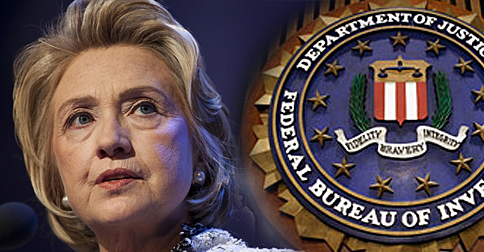 The FBI report contradicts each of these claims made when she testified before Congress. Posted in Barack Obama, Civil Liberties, Donald Trump, Foreign Policy & National Security, Hillary Clinton, Politics, Scandals. RSS feed for comments on this post.. TrackBack URL. Boy is this well deserved. Clinton get off, so should we all. Don't remember her knowingly sharing classified info with people lacking the necessary security classification(s) like this fellow did. Of course she did. Not all of her staff had clearance and her attorney, who lacked such clearance, had a copy. What is good for the goose is good for the gander. Why does everything slide off the Clinton's. Why do they get away with everything. She put Nationall Security at risk. We will never know what was in those 33,000 emails she lied about. How many Family emails can you send in seven years. Give me a break. Bill said on National TV THAT HE NEVER DOES emails. She is the most untrusted politician in government because she is a liar. Why is she not being indicted? Some people are just too big to jail.